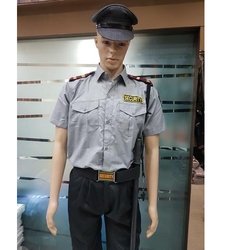 We are one of the leading manufacturer, supplier and exporter of Security guard shirts in Mumbai, India. This "Restaurant In Grey Colour" is offered in various specifications in order to suit the preferences of the customers. This product is appreciated by large number of clients due to good quality. 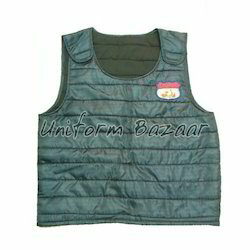 We are leading manufacturer,supplier and exporter of wide range in all type of Security Uniforms with using best quality of fabric and stitched by well tarined tailers. We offered a range of executive Security Uniforms is stitched utilizing high grade yarn dyed blended fabrics and modern techniques in complete conformation with the highest quality norms. In addition to this, the offered range is known for rendering a contemporary and formal appearance to the personality of the wearer. Our customers can avail Security Uniforms from us also. The offered range of executive chef coats is stitched utilizing high grade yarn dyed blended fabrics and modern techniques in complete conformation with the highest quality norms. In addition to this, the offered range is known for rendering a contemporary and formal appearance to the personality of the wearer. Our customers can avail PRIVATE SECURITY UNIFORMSfrom us. The offered range of executive chef coats is stitched utilizing high grade yarn dyed blended fabrics and modern techniques in complete conformation with the highest quality norms. In addition to this, the offered range is known for rendering a contemporary and formal appearance to the personality of the wearer. We are one of the leading manufacturer, supplier , exporter and stockist of Security guard jacket. ecognized for our comprehensive range of SECURITY UNIFORM, we offer these in a multitude of styles and shades, having embroidery & printing detail and wash effects. Our Uniforms are highly demanded by the apparel & fashion industry as these are designed according to the current market trends and industry norms.